The port of Scheveningen is always a hive of activity. 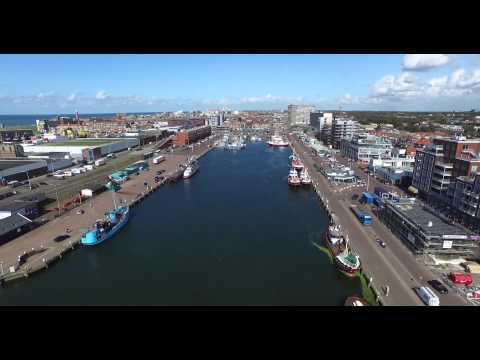 With cutters setting out to catch the very best fish, visiting yachts mooring, or day trippers finding their way to one of the restaurants along the quays - the port of Scheveningen is home to a number of special restaurants and cafes, besides being a hub for the fish trade. The fine view of the yacht harbour, the hustle and bustle at the Visafslag, and the fresh sea breeze all contribute to making the port of Scheveningen a unique spot in the Netherlands for dining out. Besides the beach the harbour is one of the most visited attractions of Scheveningen. With more then 3.5 million visitors a year the harbour is a popular area amongst the locals and tourists. Until the 1960's the harbours main purpose was the fishery. Over the last years it grew into a lively attraction. Scheveningen harbour (haven in Dutch) is known for its excellent (fish)restaurants and cosy cafés. Reserve a good spot with a view of the harbour in one of the many charming restaurants. The menu proves that despite modernisation, the harbour still lives and breathes fresh fish. Fresh fish is the order of the day at Catch by Simonis.